This railing is almost completely hand forged and contains a large variety of unique elements including half lap joinery. 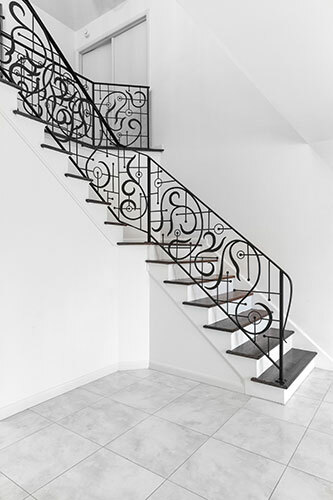 Inspired by a design selected by the customer and reinterpreted by our design team, this railing represents a marriage of organic and geometric forms. The client was interested in an open and airy design so every effort was made to give it the maximum amount of open space while still adhering to building code. 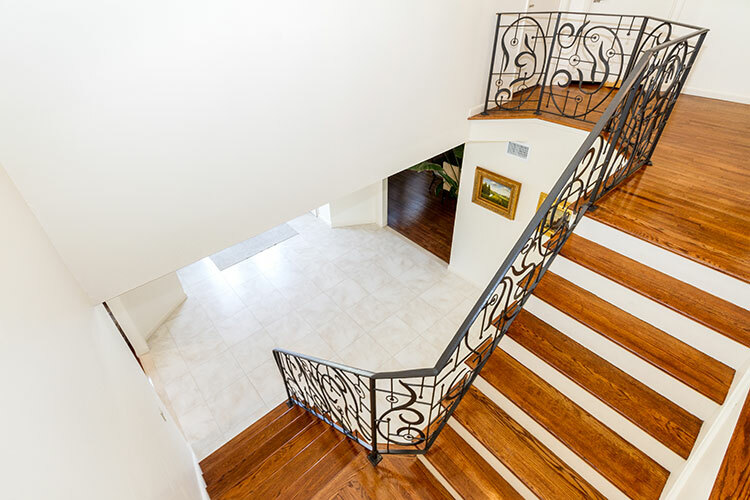 Each panel of this railing is completely unique and hand hammered.